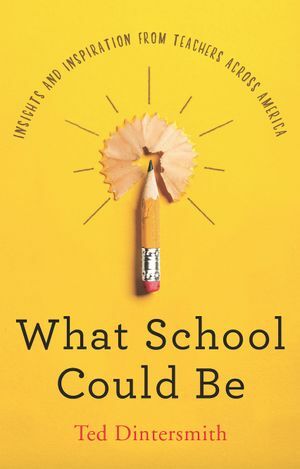 The best-selling author of What School Could Be shares his thoughts on what needs to come next in American education. Among people who publish comprehensive, deeply considered books about American education, Ted Dintersmith is not your typical figure. 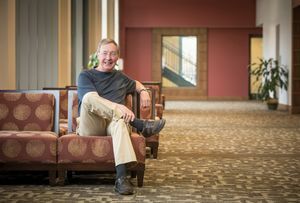 After earning a PhD in engineering from Stanford and working in venture capital for 25 years, Dintersmith decided to make an abrupt late-career switch. Increasingly alarmed at what he saw happening in schools across the United States, he turned his focus to education, embarking on “an ambitious trip” to observe innovative practices at schools in all 50 states. His subsequent book, What School Could Be (published in April 2018), describes the best of what he saw—and highlights his fervent belief in the value of teacher expertise, student agency, and locally derived solutions. Taken as a whole, the book is a rallying cry for an overhaul of the American educational system. Dintersmith now spends his time speaking about the need for innovative approaches to education and promoting the Innovation Playlist, a resource for educators interested in implementing innovative practices in their own classrooms. EDUTOPIA: You spent decades in venture capital before shifting your focus to education. What gave you the idea to start working on what you’re doing now? TED DINTERSMITH: I had breakfast with a friend one day who was really excited about a new investment they had made in a company called Harvest Automation. He said—not in a vicious way, but in passing—that this company was going to put every minimum-wage worker in landscape nurseries across the country out of work. On my drive home, I was thinking of so many of the companies he had backed, companies I had backed. So much of that innovation—which, on the surface, seems like an unambiguous good—is actually marginalizing, and, in many cases, is eliminating not a few jobs here and there, but lots and lots of jobs. The second thing was this general sense, in my venture career, that the academic superstars generally didn’t do that well in a world of innovation. Isn’t that interesting? That the very best in our education system weren’t necessarily going to be the very best in a world of innovation? Those low-level, narrow skills are exactly what machine intelligence does instantly and cheaply. If what we want kids to get good at is right in the crosshairs of machine intelligence, and machine intelligence is accelerating its capability, how does this play out? EDUTOPIA: So how does that relate to your vision for the future of education? What I try to bring to light are distinctive, powerful visions that we can find all over the place—in every district, in every municipality, in every state. You find these great examples, but they’re not identical. When something works, it’s because it’s a vision that the students find engaging and challenging, and have a voice in; the teacher deeply believes in it; and the principal and superintendent support it. When I’m at events, I really insist that no one introduce me as an education expert. I don’t view myself that way. I view myself as someone who works really hard to listen to, and learn from, the people doing the hard work in the field. I appreciate the vision that classroom teachers and administrators are bringing to their kids all across the country. They are the education experts. We need to listen to them, as opposed to imposing business principles that really don’t apply to schools. EDUTOPIA: You seem to respect the fact that a lot of teachers balk at people outside of education telling them what to do. But, at the same time, it seems—and correct me if I’m wrong—that you do advocate for some models (and not others). DINTERSMITH: The informed people will say: Well, isn’t this what John Dewey said? Isn’t this what we’ve seen for thousands of years in terms of the way people learn, the way they display what they’re good at, the way they benefit from experts, from apprenticeship models, from mentorship models? Of course. But there are certain models that I know prepare kids to fail. I’m not the expert in how to shape successful models in the classroom, but if I visit a school and I see kids being rewarded for memorizing material, replicating procedures, and following instructions, I know that that is clearly going to disadvantage those kids. On the other hand, you know something’s working in a school when the kids have that spring in their step and they’re really anxious to get to their classes. When you visit a class and poke your head in the door, and you can’t even immediately see where the teacher is. There is just hum and buzz. Then you interview those kids and say, “Tell me what you’re learning and why it’s important to you.” In those schools, the students aren’t working just to get a good grade, or because the teacher told them to do it or because it’ll be on a state test. It is because the students want to learn it, and they can explain why it’s important to them—and to their surrounding community and the world. When you see kids engaged, it’s just a qualitative sense that you have, and that’s very different from how society likes to measure the success of our schools, which is quantitative. But it’s hard to convince people that a qualitative assessment is something that should be the standard by which success is judged. EDUTOPIA: Let’s say you were able to design a school or school district. How would you go about doing that? What would you want to keep in mind? DINTERSMITH: I think it’s way more important to think about what we can do to put in place a change model that lets lots of schools advance in their own way. It’s the antithesis of somebody coming along and saying, “Everybody has to do X.” Put in place a condition so that every school can do what they know is critical. So three and a half years ago, I had this idea of going on an ambitious trip. I committed to going to all 50 states in a single school year, just absorbing and learning a ton about schools. I saw an amazing mosaic of powerful learning experiences. 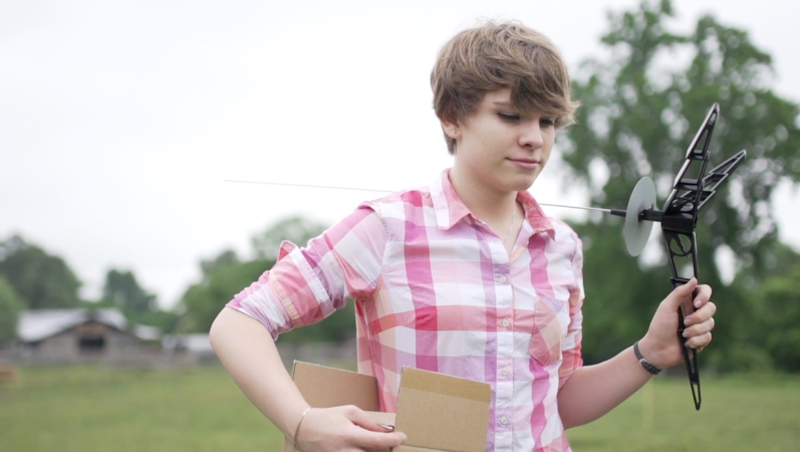 But at least on the surface, they had little in common: What does designing robots as a kindergarten kid in Fort Wayne, Indiana, for example, have to do with doing documentaries on historic buildings for eighth graders in Fargo, North Dakota? I started thinking really hard about the common principles that were evident in schools I saw that were successful. I concluded that in the outstanding schools, there was real agency for the students: They had a lot of discretion over what they chose to study, instead of being told what they had to study. Successful schools were clear about the essential competencies, skill sets, and mindsets their kids needed. The students were busy with meaningful projects: They were making things, creating things, and they were given the space and support to ask great questions about what they were learning. When they mastered a topic or, skill, it was true mastery—something they’d retain well beyond the scope of the class. And then there was the presence of this missing piece, which was a sense of purpose in their school work. I ended up calling those PEAK conditions—purpose, essentials, agency, knowledge. The most successful schools had those underlying conditions in common. EDUTOPIA: Just a point of clarification: Do you agree that there should be some nonnegotiables? A business can thrive or fail, but if a child doesn’t learn to read well, for instance, that’s a whole different kind of problem. DINTERSMITH: Of course. The remarkable school experiences I describe in What School Could Be weren’t, in any way, the equivalent of saying to an 8-year-old, “Do whatever you want. If you decide you want to do nothing but play video games all day long, as long as you’re excited, great.” That is not the message here. It’s about extending trust to the teacher, subject to thoughtful checks and balances, and empowering them to create learning environments where their students thrive. In my book, I talk about New Hampshire, where they trusted teachers to take a lead role in a next-generation accountability framework. It wasn’t just, “Do whatever the heck you want to do,” but the teachers were empowered to play a lead role. They collected examples of student work, by grade level, with teachers’ assessments of what would be considered adequate, proficient, and excellent. They turned those into a framework for deciding where students’ work would fall on that scale. And guess what? When you trust experts, they don’t get it wrong. What these teachers shared with me was that out of 500 student portfolios assessed against the new framework, they only had meaningful differences on five. The teachers said, “Hey, it was a lot of work, but it was worth it.” I don’t find lazy teachers. I find teachers that, if they think it’s important, they will go to great lengths to make it happen. EDUTOPIA: Is there anything else you’d like to add? DINTERSMITH: We’ve got an opportunity for our country to have a Sputnik or Marshall Plan opportunity in our commitment to education. It’s high time for us to reimagine what school could be, and have adults across the nation support our teachers in the aspirational goal of giving every single kid in America a fighting chance in life. What Does Innovation in Schools Look Like? Living in the Silicon Valley, I am theoretically surrounded by “innovation” and “innovators” but sometimes even I l can lose touch with what innovation really means. Is innovation about being original and creating new ideas that have never been imagined before or is it about being the first to do something? Are innovators born or can they be developed? Is innovation linked to technology? Last week I was on a call with Tim Fish and the Strategic Innovation Team at NAIS and I asked him, “What do YOU and your team mean by innovation.” I was happy to hear him talk about innovation as a mindset and a habit and a posture – one in which invention and experimentation are embedded in the culture or spirit of a organization or individual. Fundamental to an innovation or innovator is the understanding that very rarely is something going to work out perfectly the first time around and that “failures” large or small can be reframed as learning opportunities. Second chances (and even third, fourth, and fifth chances) are not just tolerated, but expected and welcomed. If there is anyone who knows about second chances, it’s Cat Hoke , the mastermind behind Defy Ventures, a program that brings entrepreneurship to the incarcerated and formerly incarcerated and supports them to become successful, legal entrepreneurs and employees. She likes to say she “transforms the hustle”. The recidivism rate for the participants in Defy is less than 5% and many of these individuals leave the prison system not just employable but as employers and business owners. Cat Hoke is no stranger to second chances. She is a woman who has reinvented herself numerous times, and she has made some mistakes and rebounded. She continues to innovate in her work because she has no choice but to be a learner, experimenter and trailblazer. This month we asked our writers to respond to the following prompt. If ______________ was a guest innovator/employee at my school, we would be doing ______________ differently. So for all the reasons above Cat Hoke is my pick for guest innovator. So what would we be doing differently at school with Cat Hoke as innovator in residence? We would be deeply empathetic and human. When you read Cat Hoke’s book A Second Chance, you understand what real empathy is. Hoke has the ability to see herself in everyone around her and to see others in herself. She knows that we are all connected by our ability to mess up; she says it’s not a matter of if but when.” She works with the most marginalized of all people – prisoners who have done the worst crimes and the hardest time – and helps them to get a second chance in the world. She connects them with entrepreneurs outside of prison who also have to develop a shared sense of empathy and to recognize that had they had the same backgrounds and childhoods as these prisoners, the roles could very likely be reversed. If Cat were at our school we would understand that we are no better than anyone else and that our actions always have a backstory and some of us just have had an easier road to travel than others. We would be relentlessly optimistic – and never give up on anyone – our students, our peers or ourselves. Cat Hoke says that at Defy Ventures, “We unlock potential everywhere we find it.” Imagine if that was the mindset of everyone at your school. What would that look like to believe in the potential of every student – even the ones that are a little messier and maybe little less easy to love and the ones that aren’t so compliant or the ones who struggle at school and who don’t always make the best decisions? Maybe even the student who has lied or who consistently says hurtful things to other kids deserve to be valued and respected. What about your colleague who might be hard to work with or who approaches every new suggestion with the phrase “We tried that in 1985.” We would know that there is possibility and potential in even the hardest people for us to accept. Most of all ourselves. We would be free from our own cultures of judgment and perfectionism, and we would accept our own flaws and failures, and in that acceptance of ourselves see the gifts in others. What if we all saw the power of second chances?